Out-of-home media for memorable & meaningful campaigns. This is Tiffany Outdoor’s philosophy in a nutshell . We will not rest until our client’s goals have been met and then exceeded! ✔️ We have a strong reputation for driving sales. ✔️ Local place-based media to reach your target audience. ✔️ National reach with media available coast-to-coast. ✔️ Various media solutions for all companies and goals. ✔️A strong in-house marketing team to help plan your campaign! Tiffany Outdoor Inc. is a leader in laundromat media, with over 10 years experience marketing in coin operating laundromats and dry cleaners. 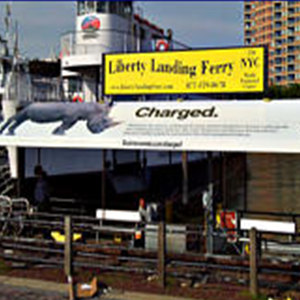 Tiffany works with ferry boat representatives, to offer full ferry wraps, on-board displays to terminal signs, and banners. We know ferries!